Pack of 50 Fantastic Faith Stickers. 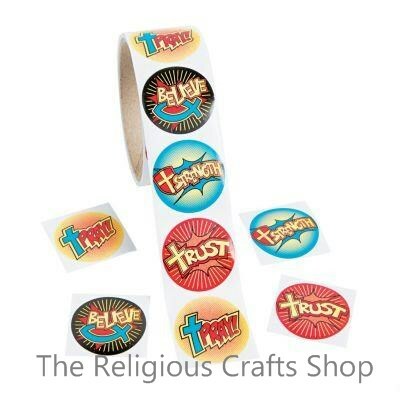 These stickers are bright and colourful with bold words like 'believe', 'trust' and 'strength'. Stickers measure 4cm.